Free Shipping Included! 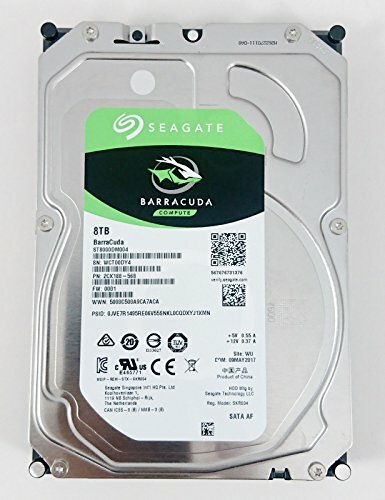 Seagate 8TB Desktop HDD SATA 6Gb/s 256MB Cache 3.5'' Internal Bare Drive - ST8000DM004 by Barracuda at Learning Delphi. MPN: 749656167742. Hurry! Limited time offer. Offer valid only while supplies last. The Seagate Desktop HDD is the one drive for every desktop system need, supported by 30 years of trusted performance, reliability and simplicity. The Seagate Desktop HDD is the one drive for every desktop system need, supported by 30 years of trusted performance, reliability and simplicity. Store as much desktop data as you need with multiple capacities up to 8TB. Store data faster with SATA 6Gb/s interface that optimizes burst performance. Rest easy knowing your drive delivers dependable performance with Seagate AcuTrac servo technology. Plus, count on Seagate to deliver the storage innovations that bring down your costs and crank up your storage with the industry's first 1TB-per-disk hard drive technology, SATA 6Gb/s technology to maximize performance and free Disc Wizard software to enable high capacities on legacy PC BIOS systems. If you have any questions about this product by Barracuda, contact us by completing and submitting the form below. If you are looking for a specif part number, please include it with your message.